Your horse relies on you to provide him what he needs, when he needs it. After a tough workout or competition, your horse loses vital minerals and could use additional support. 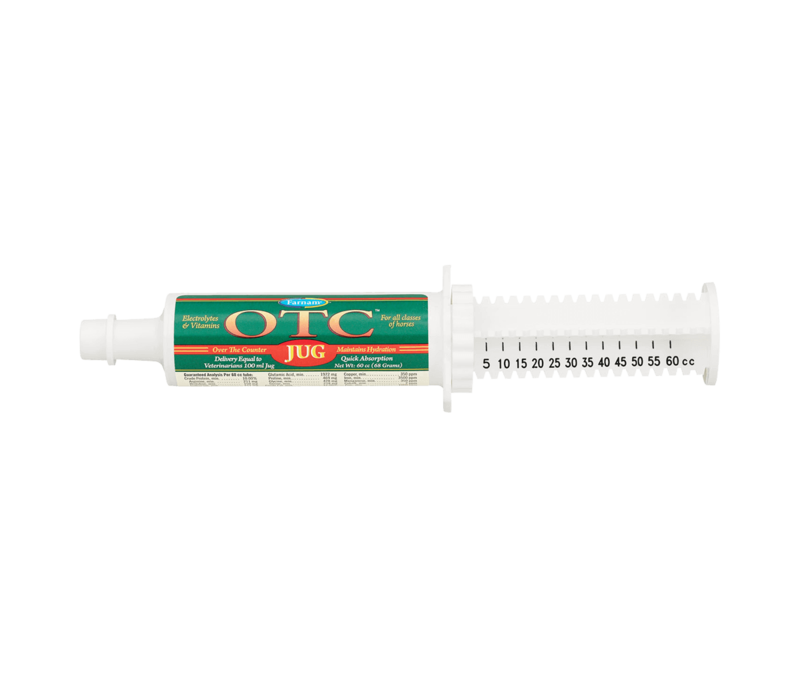 OTC™ JUG replenishes vitamins, minerals and amino acids lost during excessive exercise or heat. Can also be used pre- or post-workout to maintain hydration. Contains full complement of amino acids, vitamins and minerals. Feed 1 full tube before or after an event to replenish vitamins, minerals and amino acids lost during excessive exercise or heat. Feed ½ tube before and after light workout or during hot weather to maintain hydration. Provide access to fresh water at all times.